An FHA loan is a mortgage that’s insured by the Federal Housing Administration (FHA). They are popular especially among first time home buyers because they allow down payments of 3.5% for credit scores of 580+. However, borrowers must pay mortgage insurance premiums, which protects the lender if a borrower defaults. Borrowers can qualify for an FHA loan with a down payment as little as 3.5% for a credit score of 580 or higher. The borrower’s credit score can be between 500 – 579 if a 10% down payment is made. It’s important to remember though, that the lower the credit score, the higher the interest borrowers will receive. Borrowers must have a valid Social Security number, lawful residency in the U.S. and be of legal age to sign a mortgage in your state. Borrowers must pay a minimum down payment of 3.5 percent. The money can be gifted by a family member. New FHA loans are only available for primary residence occupancy. 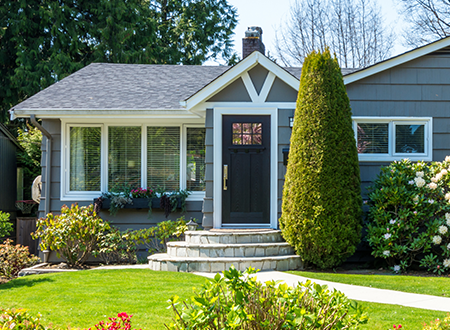 Borrowers must have a property appraisal from a FHA-approved appraiser. Borrowers’ front-end ratio (mortgage payment plus HOA fees, property taxes, mortgage insurance, homeowners insurance) needs to be less than 31 percent of their gross income, typically. You may be able to get approved with as high a percentage as 40 percent. Your lender will be required to provide justification as to why they believe the mortgage presents an acceptable risk. The lender must include any compensating factors used for loan approval. Borrowers’ back-end ratio (mortgage plus all your monthly debt, i.e., credit card payment, car payment, student loans, etc.) needs to be less than 43 percent of their gross income, typically. You may be able to get approved with as high a percentage as 50 percent. Your lender will be required to provide justification as to why they believe the mortgage presents an acceptable risk. The lender must include any compensating factors used for loan approval. Borrowers must have a minimum credit score of 580 for maximum financing with a minimum down payment of 3.5 percent. Borrowers who cannot afford a 20 percent down payment, have a lower credit score, or can’t get approved for private mortgage insurance should look into whether an FHA loan is the best option for their personal scenario. Another advantage of an FHA loan it is an assumable mortgage which means if you want to sell your home, the buyer can “assume” the loan you have. People who have low or bad credit, have undergone a bankruptcy or have been foreclosed upon may be able to still qualify for an FHA loan. You knew there had to be a catch, and here it is: Because an FHA loan does not have the strict standards of a conventional loan, it requires two kinds of mortgage insurance premiums: one is paid in full upfront — or, it can be financed into the mortgage — and the other is a monthly payment. Also, FHA loans require that the house meet certain conditions and must be appraised by an FHA-approved appraiser. Annual MIP (charged monthly) — Called an annual premium, this is actually a monthly charge that will be figured into your mortgage payment. The amount of the mortgage insurance premium is a percentage of the loan amount, based on the borrower’s loan-to-value (LTV) ratio, loan size, and length of loan. A reverse mortgage, also known as the home equity conversion mortgage (HECM) in the United States, is a financial product for homeowners 62 or older who have accumulated home equity and want to use this to supplement retirement income. Unlike a conventional forward mortgage, there are no monthly mortgage payments to make. Borrowers are still responsible for paying taxes and insurance on the property and must continue to use the property as a primary residence for the life of the loan. These loan products can be a challenge to explain or understand, even for people who have plenty of financial experience. We’ve put together this introductory article in hopes of better explaining the basics. In general, it’s easiest to explain these loans by beginning with a comparison to a better known financial product, the home equity loan. At its core, the reverse mortgage is a home equity loan that’s designed to help seniors tap into the equity in their homes. This loan is only available to homeowners who are 62 or older and have built up substantial home equity. The other unique features of a reverse mortgage are best explained by a comparison to traditional forward mortgages. In a forward mortgage, the borrower makes monthly payments to the lender, gradually reducing the loan balance and building equity. With a reverse mortgage, the borrower receives payments from the lender and does not need to make payments back to the lender so long as he or she lives in the home and continues to fulfill his or her basic responsibilities, such as payment of taxes and insurance. The loan balance grows over time as the borrower receives payments and interest accrues on the loan; home equity declines over time. Essentially, the mortgage works in the reverse direction of a forward mortgage, which is where the term “reverse” comes from. All loans must eventually be repaid, and this one is no different. The loan is due once the borrower sells the home or passes away. Of course, the borrower may also choose to pay off the loan at any time. 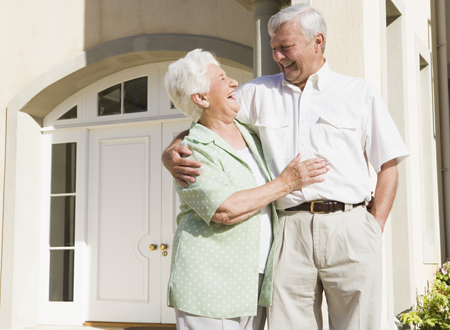 In most instances, a reverse mortgage is paid off when the mortgaged home is sold. It is important to note that reverse mortgages are designed so that the amount owed cannot exceed the value of the home. If, for example, a reverse mortgage balance is $150,000, and the house is sold for $125,000, the borrower does not owe the difference. If the house can be sold for more than the value of the reverse mortgage, that equity belongs to the borrower or the borrower’s estate. Today, almost all reverse mortgages that are originated are Home Equity Conversion Mortgages (HECM). The HECM is a program of the Federal Housing Administration (FHA), and these loans are guaranteed by the federal government. This means that you do not need to worry about your reverse mortgage lender failing to make payments to you. We’ll cover what this really means later, but it’s important to note that the rest of the information here applies to HECM reverse mortgages unless explicitly noted. When you own a home with a traditional mortgage, you gain equity over time as you pay down the loan. Home equity is the difference between what your home is worth, its appraised value, and any debt that you have from mortgages against the home. Let’s say, for example, that you own a home worth $300,000 in today’s real estate market, and you only owe $50,000 on the mortgage balance, having paid down the rest. You have valuable home equity worth $250,000, which we calculate by taking $300,000 and subtracting the $50,000 still owed. If you are like most Americans, the chances are high that this $250,000 worth of equity represents a substantial portion of your net worth, and as you reach retirement age you may want or need to tap into this wealth to supplement your fixed income. There are a few options for tapping into your home equity that you may be familiar with – selling the home, taking out a home equity loan, or obtaining a home equity line of credit. However, these options may not be suitable for you – selling your home doesn’t make sense if you do not wish to move, and home equity loan and HELOC options may be difficult to obtain. There is an alternative solution, however, and that is the reverse mortgage. If you are eligible and the product is suitable for your needs, a lender can offer you fixed monthly payments or a line of credit based on the value of your equity. Though there are other factors involved, you can think of the lender giving you a loan to you based upon how much equity you have in the property. • When you are older. An 80 year old will be able to borrow more than a 62 year old if all other factors are equal. • If your home is more valuable and/or you have a higher amount of home equity. • As interest rates fall. You will be able to borrow more at a 4% rate than a 6% rate. • Receive a monthly annuity for as long as the borrower lives in the house. This is called a “tenure” annuity. • Receive a monthly annuity for a set period of time chosen by the borrower. This is called a “term” annuity. • Take out a line of credit that can be used at the borrower’s discretion. This credit line actually grows with the passage of time. Of course, a senior obtaining a reverse mortgage can also choose to combine multiple options into a plan that best suits his or her needs. For example, a senior could choose to take out a certain amount of cash at closing while also receiving an annuity. There is also significant flexibility with changing from one option to another over time. For example, if a borrower receiving an annuity wished to switch to a line of credit instead, he or she could do so by paying a small fee. How is the Government Involved? This is a big point of confusion, especially since advertisements have sometimes promoted the reverse mortgage as a “government benefit” of some kind. First, it’s important to note that the FHA, a government agency, is not loaning you any money. You are working with a private company, and the FHA is providing a guarantee on your loan. This guarantee protects you in two significant ways. First, the FHA guarantees that the senior will receive all the payments that he or she is entitled to as a result of the reverse mortgage. This removes the risk of the lender going bankrupt or simply refusing to make good on its obligations. 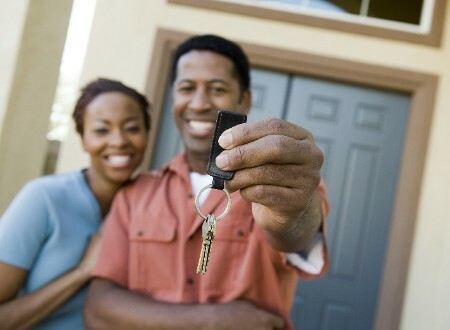 Second, the FHA protects the borrower and his/her estate from ever owing more on the loan than the home is worth. In circumstances where the debt outstanding on the reverse mortgage exceeds the value of the home, the FHA covers the difference. The amount of your reverse mortgage is based on how old you are, how much your home is worth, and what interest rate the lenders offers to you. Generally speaking, the older you are and the more your home is worth the more you’ll receive. With a reverse mortgage there is no loan to repay as long as you are alive, living in the home, and keeping the terms of your loan. You can have the money disbursed to you in the form of a check or a line of credit. Lump sum payments are also popular; in 2011, 73% of borrowers chose a lump sum payment. The loan generally does not have to be paid back until either the last surviving homeowner dies or moves out of the home. After that happens, the estate typically sells that home and uses the proceeds from that sale to repay the reverse mortgage loan. If there is extra money left over the heirs get to keep it. If the house is sold and there is not enough money to repay the payments that the lender has made, then it’s tough luck for the lender. They have to accept the financial loss and cannot go after the heirs for the balance. There are three major fees that borrowers must pay. Most are similar to those paid on a forward mortgage. • Origination fee paid to the lender. This is government regulated and ranges from a minimum of $2,500 to a maximum of $6,000, depending on how much your property is worth. The exact formula is 2% of the first $200,000 in property value and 1% of the amount above $200,000. • Third party fee. This is multiple smaller fees paid to individual third parties, but we’ve lumped them together for simplicity. Appraisal, title, inspection and so on. • Upfront mortgage insurance premium (MIP). This fee is paid to the FHA, and in all cases it is 2% of the property value. 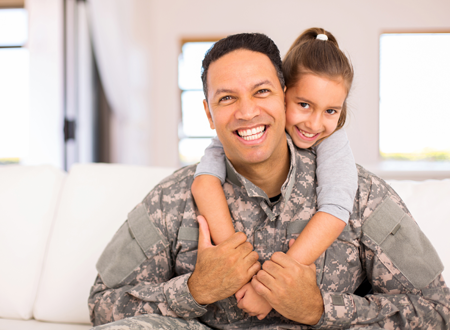 This premium pays for the protections that the FHA gives to borrowers. Over the life of the reverse mortgage, borrowers must also continue to pay a 0.5% annual MIP on the loan balance. Interest will also accrue on the balance. Generally, the costs of a reverse mortgage are financed into the loan so that the borrower does not have to pay out of pocket. Instead, the money is being taken from the home’s equity. Let’s return to our example from before, where we owned a $300,000 home and add up the fees. Second, we have third party closing costs, which we’ll estimate at $1,500. This gives us an upfront cost of $10,500, which is generally financed, meaning it is added to the loan balance. This means that before you borrow any money, you have spent $10,500 of your home equity to obtain the loan. First of all, the home must continue to be used as the primary residence. Seniors must also maintain the home, do needed repairs, and stay current on property taxes and homeowner’s insurance premiums. Otherwise they risk default. Bankruptcy can also be a violation of the reserve mortgage agreement. Once the homeowner is in default they are subject to foreclosure – and the unexpected loss of one’s home can be especially tragic for an elderly person. Thankfully the financial assessment added in 2014 makes this far less likely. • Those looking to supplement a fixed income in retirement. • Those who need a home equity line of credit (HELOC) but cannot qualify. • Seniors who will remain in the home for a long time horizon. • Those who are looking to use a reverse mortgage as a financial tool as part of a retirement planning strategy. Pay off a forward mortgage and eliminating the monthly payment that goes along with it. Use a credit line as a means of paying unexpected expenses, protect against loss of income from the death of a spouse, and/or to make sure that retirement income remains stable even if your other sources of funds fluctuate. Purchase a home using the HECM for Purchase program. 1. Is there anyone who lives in the home that will be mortgaged besides the borrower or borrowers? YES: When the borrower dies or moves out of the home, the reverse becomes due. This could affect those living with you, such as a younger spouse, children, or other family members. Discuss the situation with them beforehand and then proceed if it makes sense for you. NO: There is no need to worry about your family or loved ones needing to move out when the reverse mortgage becomes due. 2. Do you plan to keep living in your home for an extended period of time? YES: Reverse mortgages are expensive over a short time horizon and get progressively less expensive as more time passes. Thus, a reverse mortgage is more likely to be right for you if you will remain in your home for a long time. NO: If you’re not planning to stay in your home, there are other short term options that are likely cheaper. A reverse mortgage is less likely to be right for you, especially after the FHA discounted the HECM Saver program. 3. Is it important for you to leave your home to your family without debt attached to it? YES: A reverse mortgage is probably not right for you. If you are comfortable leaving some debt on your home, there are reverse mortgage options that will limit the amount of equity that you withdraw, leaving your heirs with a more valuable inheritance. NO: A reverse mortgage is more likely to be right for you. Additionally, the senior must continue to use the home as his or her primary residence. Once the home is not used as a primary residence for 12 months, the reverse mortgage becomes due. Conventional home loans marketed to borrowers with low credit scores are called sub-prime mortgages. They typically come with high interest rates and fees. The government has created special rules covering the sale of such products, but they are not government-backed — they are conventional loans. You have the ability to roll in your closing costs into the loan. So if you want to live in a suburban or rural area – generally with a population of 20,000 or less - then a USDA loan may be your answer to owning your new home secondly each county has specific income limits that determine USDA Eligibility, and your current income must not exceed the limit set for that county.